New Zealand cloud computing adoption has been on the increase in both the public and private sector. This has heralded a wave of transformative change in the way we do business, provide citizen services and leverage new, emerging and future technologies. The cloud has also impacted life beyond big business, creating and enabling new experiences, such as Spotify and Netflix – services many can’t imagine life without now. You can’t talk about being digital without being enabled by cloud, nor robotic process automation (RPA) and artificial intelligence (AI). Cloud is more than just the plumbing, it supports agility, speed to innovation and is a key piece of the puzzle in competing in an increasingly complex and ever-evolving marketplace. In New Zealand, we’ve moved past the ‘what is cloud’ stage, and we’re in the ‘how do I use it’ phase. IDC predicted that by 2021, enterprises’ spending on cloud services and cloud-enabled hardware software will more than double to over NZ$2.6 billion. But what comes next for cloud computing in New Zealand, and how can further value be realised? Let’s look at five trends that give us some insight on what’s next. 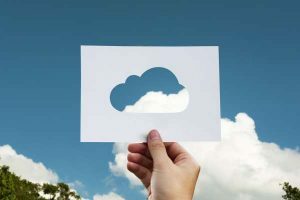 With benefits to the bottom line traditionally cited as the main driver of cloud adoption, we’ve seen a shift in the mindset of many CIOs recently. It’s gone from, ‘how much will I save’, to ‘how can the cloud help my business effectively compete in today’s digital age’. Cost savings aside, the cloud is now rightly recognised for its ability to drive innovation, ability and speed. Additionally, the rise of the Internet of Things (IoT) and artificial intelligence (AI) has been key to cloud growth, with these technologies available and constantly evolving in the cloud. Cloud computing has been a disruptor in allowing smaller companies to compete in industries traditionally dominated by larger players. As a result, we’ve seen substantial growth in more industries, such as banking, retail and public services, all of whom recognise the need to innovate and compete in the digital age. We’ve also seen a rise in industry-specific cloud solutions, and this will only grow in the coming years. As we covered, businesses are increasingly turning to the cloud for broader business transformation programs. During this process, it is imperative that they determine the full potential impact the cloud could have on their entire technology estate and their operating model. Historically, many companies bought Software-as-a-Service (SaaS) and bypassed the IT department in a bid to speed the process up. However, with SaaS platforms now such an integrated part of the business architecture, spanning the entire business in some cases, it is key that both the IT department and the buyers are tightly linked. Cloud isn’t always a viable option for all businesses – it’s obviously dependent on individual requirements, regulations and system limitations. However, a ‘Cloud First’ strategy can help businesses benefit from the cloud’s advantages as much as possible, either when considering new applications, or old. For example, when a company is taking stock of its technology estate, can applications be replaced with a cloud-native version? The common issues we see when companies accelerate their cloud journey centre mainly around operating model, talent and security. Making the transition to becoming a truly cloud native business requires most IT departments to undergo changes or establishment of a new operating model to best leverage cloud. Finding the required skills can be another challenge. Major transformational change requires the right talent, and we’re facing a widening digital skills gap in this area. Security has always been an issue at the top of the agenda when it came to cloud computing, however most companies have been bridging the gap as they have started to consume more cloud services and mature their own capabilities to assess security in the cloud. These trends help to illustrate the maturity of the cloud computing market in New Zealand, but there’s certainly still more work to do. It’s encouraging to see that the foundational capabilities are now in place to power businesses in new ways, both today and in the future, enabling agility and innovation. 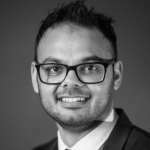 Suraj Sowki is Accenture’s operations lead for New Zealand.